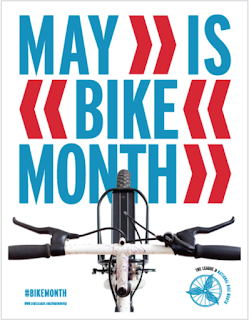 It’s Bike Month and one of the main events is Bike to Work Day on Friday, May 18. Join the fun as we celebrate bicycling as a clean, enjoyable and healthy way to get to work. There are numerous pit stops around the region—17 in Fairfax County!—where participants can enjoy free food, commuter support, and get their free 2018 Bike to Work Day t-shirt. Register today. Bike to Work Day, started in 1956, was created by the League of American Bicyclists as a way to encourage commuters to try bicycling as a healthy and safe alternative to driving. In the metropolitan Washington region, BTWD has grown from a few hundred participants in 2001 to more than 18,000 participants in 2017. FABB will be out at Fairfax County’s pit stops to celebrate with and encourage the Bike to Work Day participants. We still need a few volunteers, especially in Springfield, Lorton, and Herndon. If you can help, please sign up here.